Last weekend I had a bunch of friends over for a fall feast that was 3 days in the making. We had a great time filling our bellies! On the menu was a 6 1/2 pound grass fed beef brisket from Missouri. The brisket was braised in the oven at a low temperature for 6 hours with a potpourri of veggies and mushrooms which created a delicious broth. Two sauces were made that are traditionally serve w/ braised meats at the fair of the fatted ox in Piedmont, Italy (one is a tomato based sauce, the other is a horseradish based sauce). I made a pizza for my vegetarian friend and used the remaining dough to make bread to go with the brisket. For dessert I churned up a fennel gelato and served it w/ a bottle of nice cognac and fortune cookies. 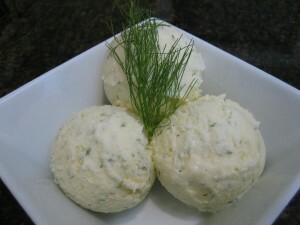 The consensus from my friends was the fennel gelato is one of the best flavors I’ve created so far. It was a beautiful crisp fall evening so we all went outside after dessert to light a fire in the chimenea and sip our cognac. We were having such a good time that we hung out for a few hours by the fire and nearly finished off the entire bottle of cognac! May you always be surrounded w/ good friends and good food!